Please can you give an introduction to optogenetics? How was this technology inspired by psychiatry? It can be carried out in behaving mammals carrying out complex tasks, even social behavior and memory, and that then opens the door to understanding at a deeper level, not only how things work, but how they can fail to work in psychology and neurology. Controlling Neurons with Light from AZoNetwork on Vimeo. It is commonly thought amongst psychiatrists and neurologists that there is not a deep enough understanding of the brain to build the kinds of new treatments with the specificity and precision needed to be successful. It is felt in the whole community, whether you're doing talk therapy for patients, giving medications in the form of pills, or giving brain stimulation treatments. Fortunately, the goal of building precise ways of interfacing with the brain is not just important for psychiatry, but it's also important for basic neuroscience too, and that's been one of the most exciting applications of optogenetics. My lab is primarily a basic science lab, investigating what we can do in terms of advancing our fundamental understanding of the brain. How does optogenetics fit into the broader context of experiments in neuroscience? Optogenetics has become a fairly standard technique, there are thousands and thousands of labs and papers around the world that have emerged using it. It's part of the causal arm of the toolkit used to test whether something is necessary or sufficient to a process, for example whether an activity pattern in a particular kind of cell is necessary or sufficient for physiology or behavior. There's a lot of other wonderful technology in neuroscience, there's very powerful genetic and anatomy tools for example. Where optogenetics fits in is this is how you can test whether activity is causally important. 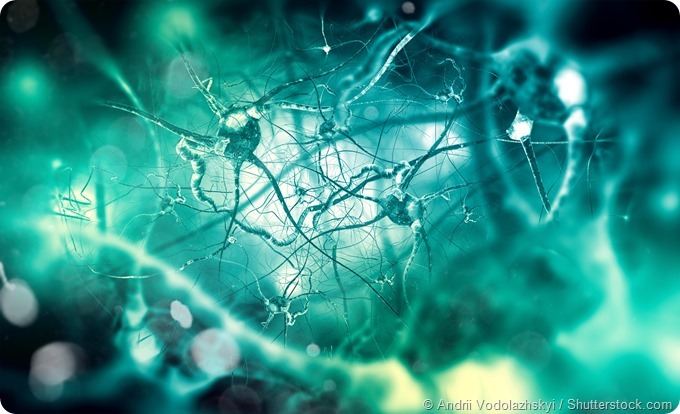 What challenges does optogenetics allow us to overcome? For many years, neuroscientists have effectively been studying correlations. Optogenetics takes you away from observation and correlations and takes you to causality. This limitation is something that optogenetics addressed for the field, and is very synergistic with all the other beautiful and foundational work in neuroscience. It also provides cell type specificity and speed that prior approaches couldn't quite provide. What aspect of optogenetics will you cover in your Wallace H. Coulter Lecture at Pittcon 2017? I'll be talking about emerging insight into how optogenetic proteins themselves work. I'm actually a chemist and a biochemist before that, and I have devoted a lot of time over the past eight years or so to understanding these light activated ion channels. These are the proteins that we put into cells in order to make them respond to light, they are beautiful proteins even separated from their optogenetic applications. They come from algae and other microorganisms allowing the animals to respond to light, so at Pittcon, I'll be talking about how these proteins work, which will be of particular interest to molecular type investigators. I'll also be talking about how our deeper understanding of those proteins has allowed us to build new optogenetic approaches. We've been able to make mutants and new versions of these proteins because we have a deep structural and mechanistic understanding of the protein itself. That has led us to totally new kinds of optogenetics experiments. I'll be talking about how this basic chemistry has led to new advances in neuroscience. What else will you be discussing in your talk? Will you be discussing the CLARITY method? Recently, there's been a lot of work on CLARITY and all the methods that have come from it and so I'll talk about that as well. What a lot of people are doing, including my own lab, is merging the techniques into a common workflow. Once you’ve established a particular cell type is important in the behavior of an animal using optogenetics, you can then obtain the networks of those same cells using CLARITY. That enables you to see the connectivity, the circuit diagram, of those same cells that you know are important in the activity causing behavior. That's a big step forward and a lot of labs are using this technique, it has helped us start to move toward with an integrative understanding of how neural circuitry gives rise to complex behaviors. Which techniques have been most important to your work? These days, we use a lot of optics, imaging, electrophysiology and computation analysis and they have become particularly important creating beautiful but complex data streams that we couldn't even imagine before. From a single mouse we get terabytes of structural and activity data and then when we start to do numerous experiments and test a lot of population dynamics studied across many animals, this gets to be quite challenging, and so we need very advanced computation methods, which have been important too. How have advances in technology impacted your research? We've helped push a lot of things forward, but a lot of it has built on pioneering work in other disciplines, for example, lasers. The advances in laser and LED technology has been extremely important for optogenetics. Higher speed computing, GPU devices, cloud computing, and then advances in genetics as well. Basic virology has also been very valuable. A lot of what we've been able to do, even if we'd wanted to, we couldn't have done it 20 years ago because these other supporting fields hadn't reached their current state. What further developments would you like to see? We're getting better at matching or precisely altering naturally occurring patterns of activity. We can play in any pattern of activity we want, but the question is how closely does that resemble a natural pattern? To answer that question, you've first got to detect natural patterns to see what's naturally happening. We've gotten much better at that, and so these days you can now match naturally occurring activity patterns using optogenetics and that is something I'd like to see more of. That requires yet another union of fields combining imaging, collection of light, with playing in or providing light, and doing that all through the same device, and the same system at a high speed, and even in a closed loop fashion which is very powerful. What are you looking forward to at Pittcon 2017? I like the broad, interdisciplinary, quantitative meetings where I can learn different things, maybe not something that I'm looking for specifically. I look forward to that more than anything, just getting exposed to something that would not be in my normal path. We want to keep advancing optogenetics and CLARITY, and using them together with the goal of understanding how adaptive and maladaptive behaviors arise from circuit activity patterns. There's a lot more to do. As a psychiatrist I'm hoping that we can continue understanding these deep questions about anxiety, depression, drug addiction, and get to a level where we can get to the nature of a patient’s problem very precisely. Then to follow this with individualized treatments, but this may be much later on. We want to be able to move past the ambiguity and be able to pinpoint exactly the biology behind what patients are intensely suffering from. This will be a big step forward for the patients, families, and society.